Though the technology has been around for a few years, brands and marketers have been slow to embrace utilizing augmented reality to engage with consumers. Good augmented reality campaigns and the experience they create can be expensive to produce—but as IKEA demonstrated with their latest catalog, the user experience is impressive and engaging. Working in the digital space day to day, I’m glad to see the acceptance of brands using the technology. Augmented reality allows brands to alter the way we perceive our environment, playing with our senses through real or altered simulation. If you’re not familiar with the technology, check out IKEA’s recent application below. Recently, augmented reality has grown in usage with smart phones, gaming devices and other web-enabled technologies. So, how does it work? In the simplest of terms, augmented reality works by using a graphic to trigger the experience. This enables the projection of graphics, video or sound—allowing for user interaction. By using augmented reality, we are able to elevate experiences to whole new levels. For example, brands are utilizing augmented-reality-enabled packaging to introduce games, video or animation. By employing this technology, brands are extending the life of the package and creating holistically branded experiences. Just what IKEA did. 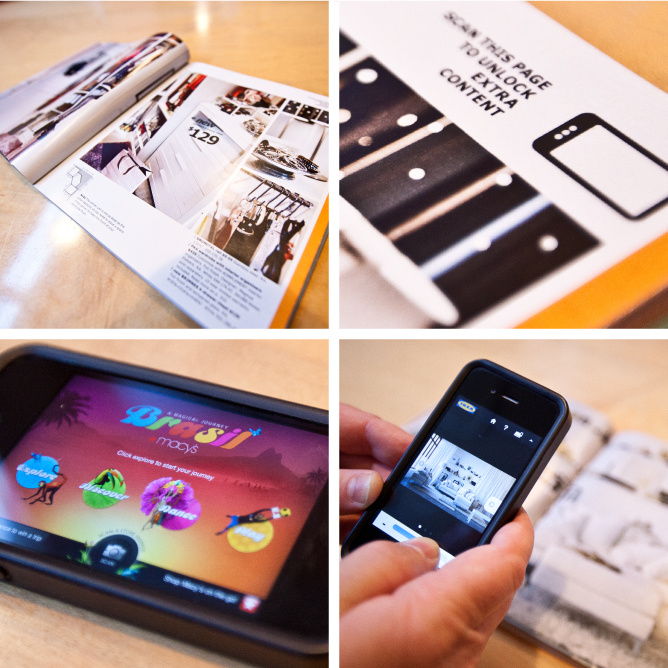 It elevates the catalog to more than a selling tool, it becomes a conversation piece on your coffee table. In the publishing world, as print seems to be disappearing, magazines like Esquire are utilizing augmented reality to keep their audience coming back. Bringing Robert Downey Jr. to life off the flat page is pretty amazing—something my wife really enjoyed. Some augmented reality applications allow integration with your mobile GPS system, like Pioneer’s new GPS system. By using this GPS system, you can be informed of locations of interest in your area or play a game using the environment around you. o Extending the life of packaging for in-home usage. o Allowing for interactivity, customization and personalization. o Tracking usage for user/consumer analytics. o Bringing print to life with animation and interactivity. Questions? Find me on Twitter @tomstuder or shoot me an email: Tom_studer@lpk.com.